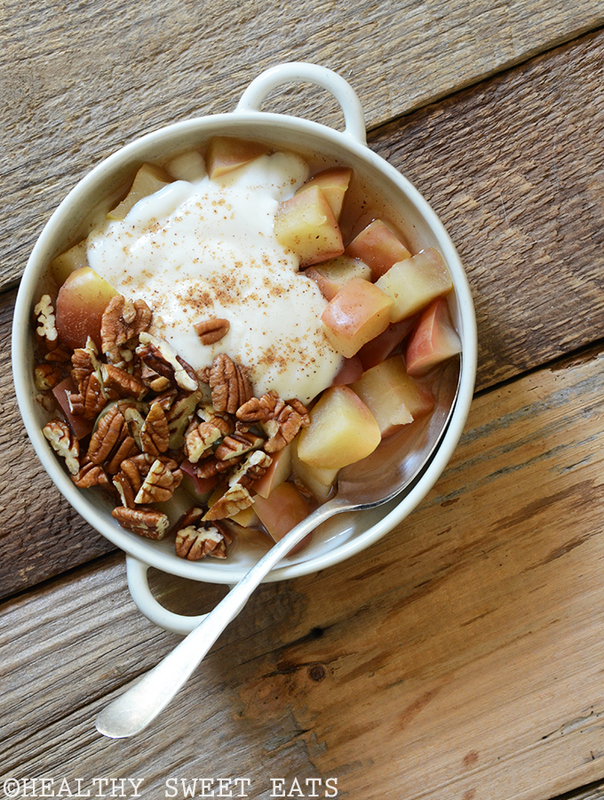 This 5-Minute Cinnamon-Pecan “Baked” Breakfast Apple is the perfect healthy autumnal breakfast. As days shorten the air takes on a crisp chill and the splendor of fall’s beauty sets in; my mind slowly relaxes. Autumn puts me at ease and no matter where I am in the world, makes me feel like I’m home. Fall mornings are full of peace and solitude for me, and I often find them to be the most productive part of my day. A steaming cup of coffee in hand, sitting on the balcony in the early morning air, wrapped in a cozy sweater with a notepad to jot down the day’s tasks is my happy place….